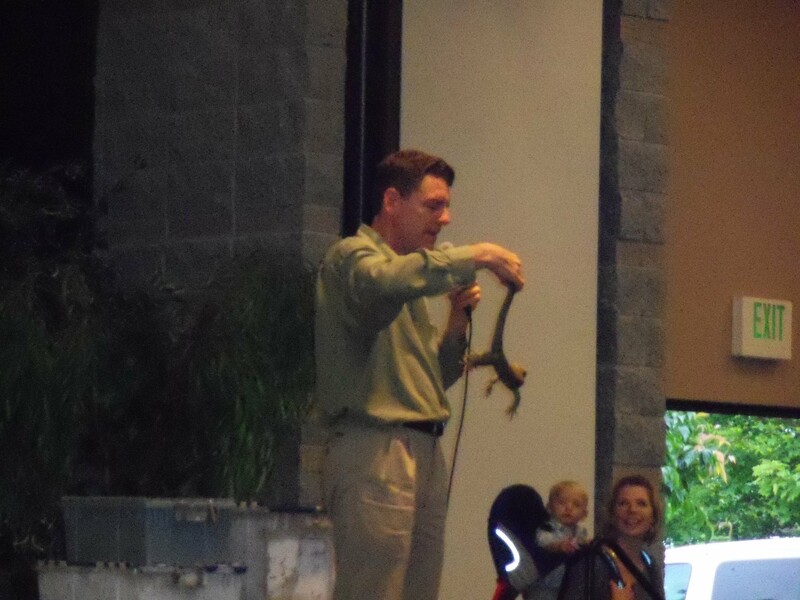 Have you ever had the chance to see the Reptile Man or visit his zoo in Monroe? If you have then you know how cool it is! If you have not, then you should seriously consider adding this to your bucket list. Well if you like reptiles that it is. If you’re not into the scaly, slithery type, well you should go anyway. You may enjoy a thing or two and surprise yourself! He came to visit Poulsbo and being that I had a ‘nest’ of kidlets with nothing better to do…we piled into the car and headed out. It was worth it! Scott Petersen is the actual Reptile Man. 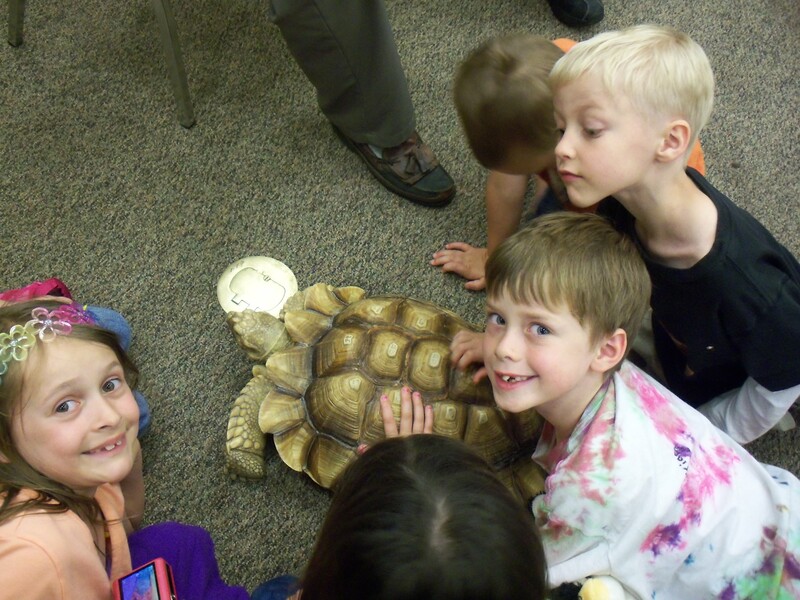 He brings a few snakes, a couple of lizards and a tortoise and you get to be up close and personal with them! 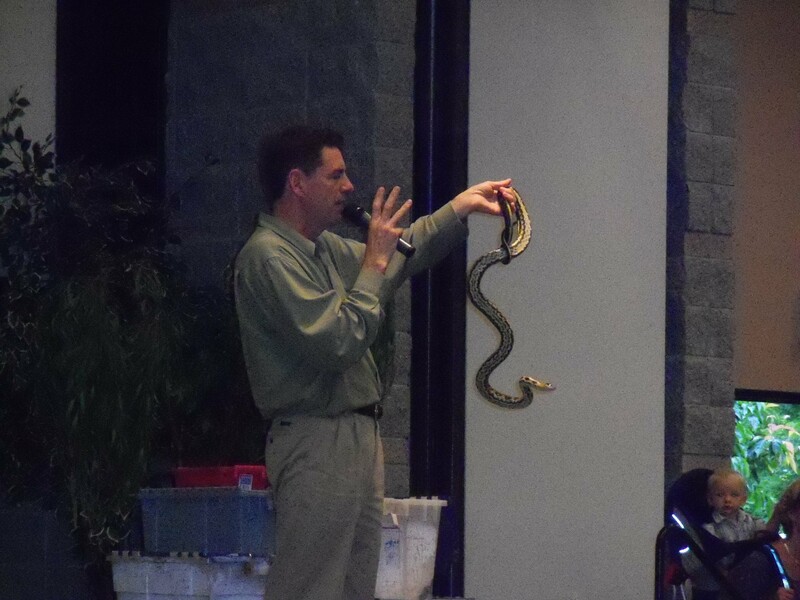 Before you get to enjoy that experience Scott lets you in on some excellent facts about the animals he brings. He lets you know how to walk away from a snake should the need ever arise. Or if you so wish, how to catch and hold one too. 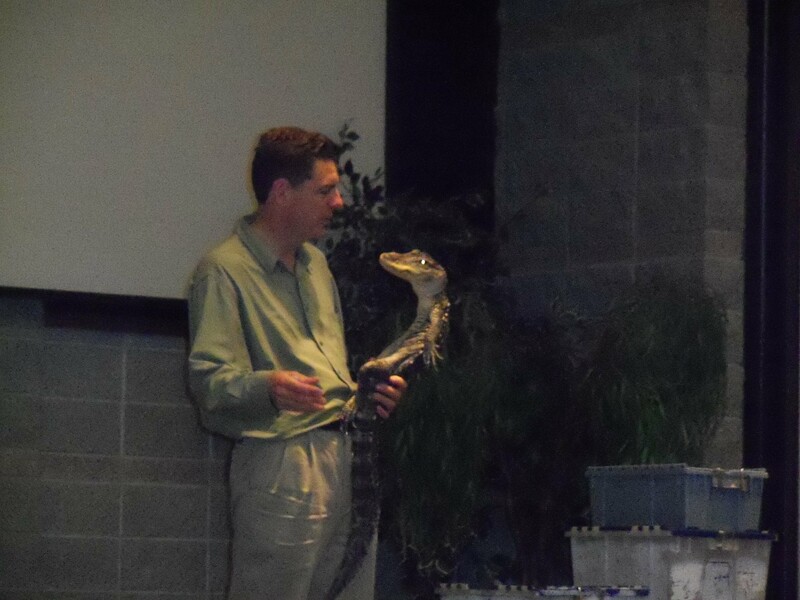 After the presentation, you literally get to meet the reptiles. Touch, feel, smell and even hold them! 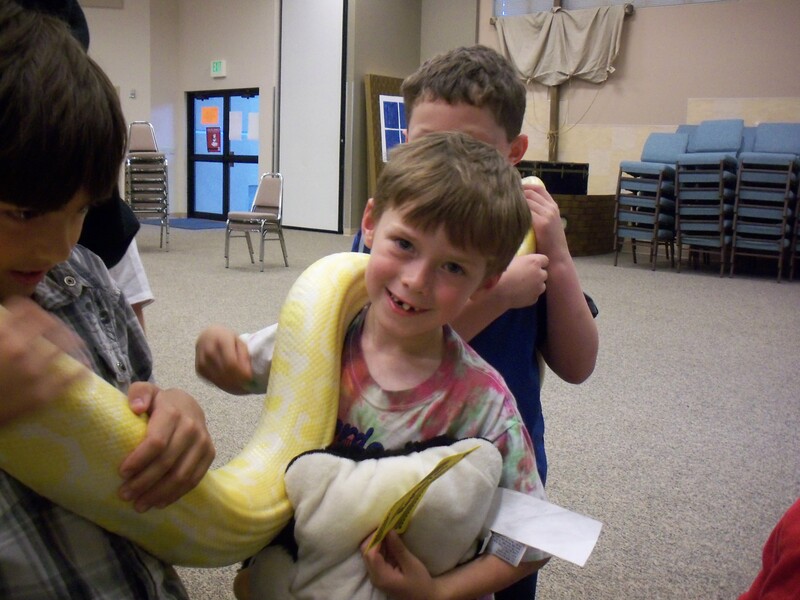 Scott lets a few of the safer reptiles ‘loose’. You can go right up to them and await your turn to actually hold them! He only asks you don’t drop them, put your hands in front of their mouths or hurt them. And of course you don’t have to go anywhere near them if you’d rather not. The kids loved it! 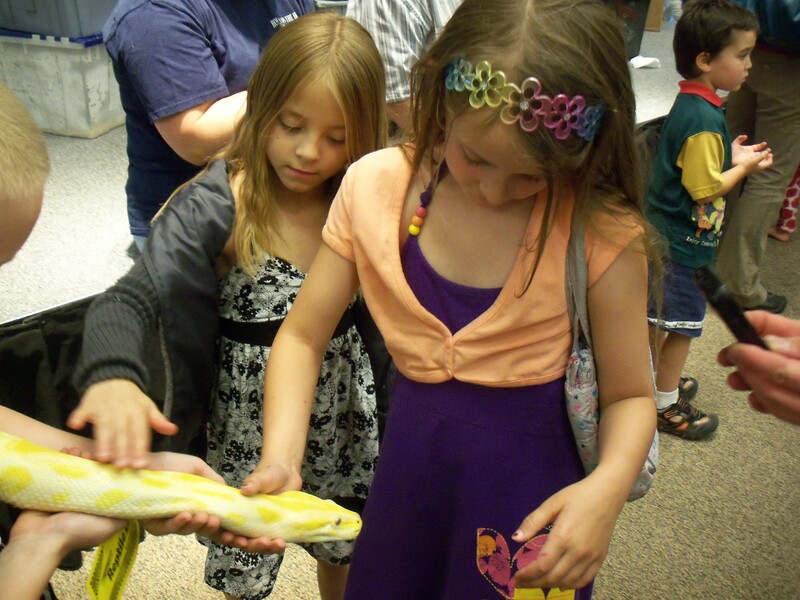 All the facts they learned, the antics the reptiles did and the hands on experience was something to remember! The afternoon was well spent!